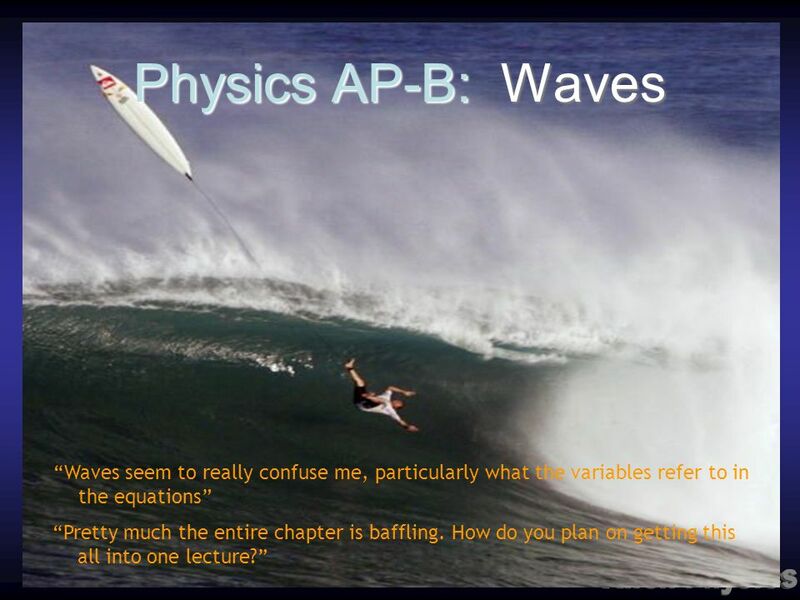 Physics AP-B: Waves “Waves seem to really confuse me, particularly what the variables refer to in the equations” “Pretty much the entire chapter is baffling. 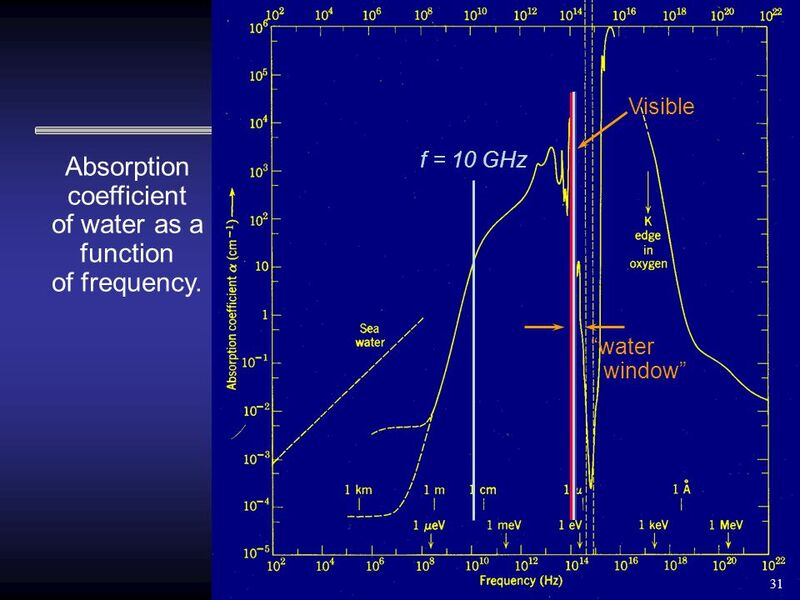 12 Absorption coefficient of water as a function of frequency. 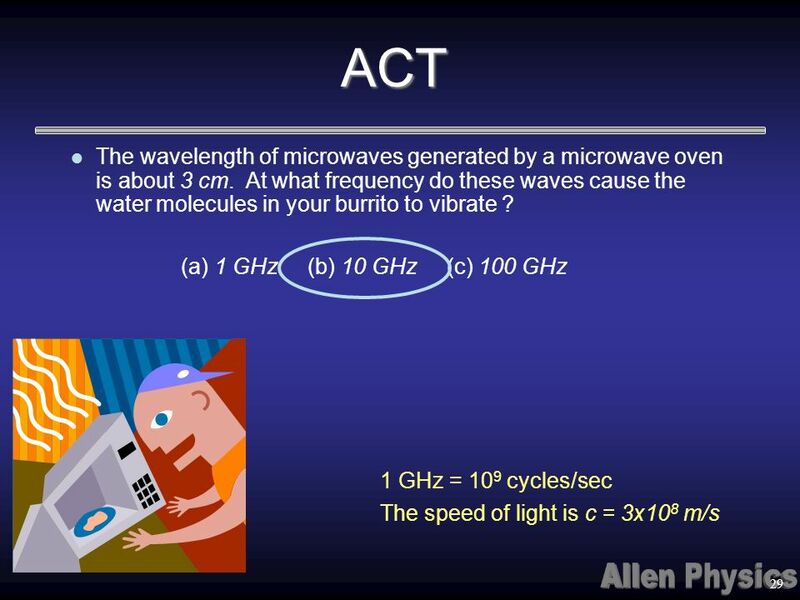 Download ppt "Physics AP-B: Waves “Waves seem to really confuse me, particularly what the variables refer to in the equations” “Pretty much the entire chapter is baffling." 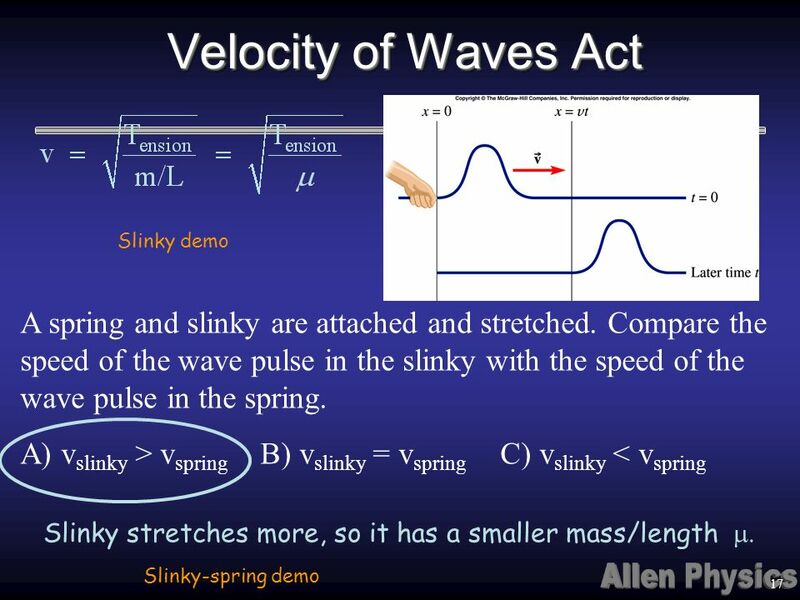 Waves and Vibrations Physics: Mr. Maloney. 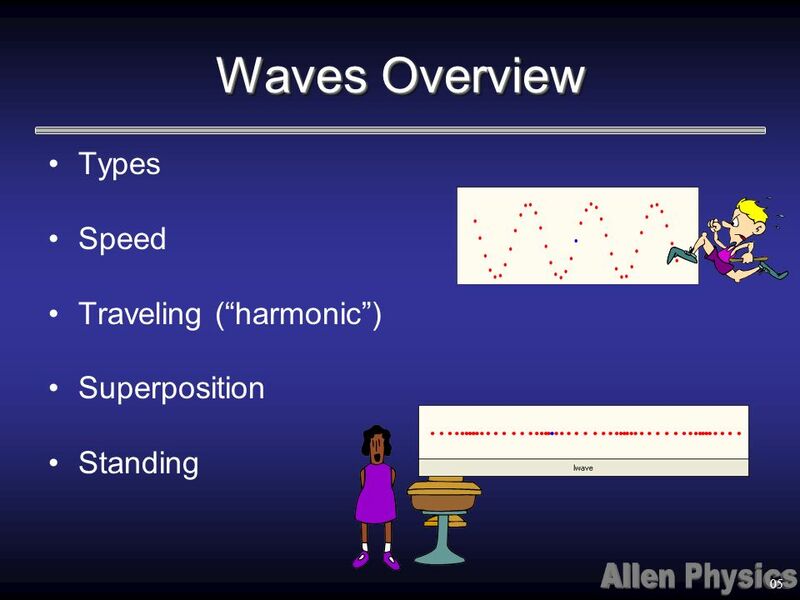 Vibrations and Waves Honors Physics. Fisica Generale - Alan Giambattista, Betty McCarty Richardson Copyright © 2008 – The McGraw-Hill Companies s.r.l. 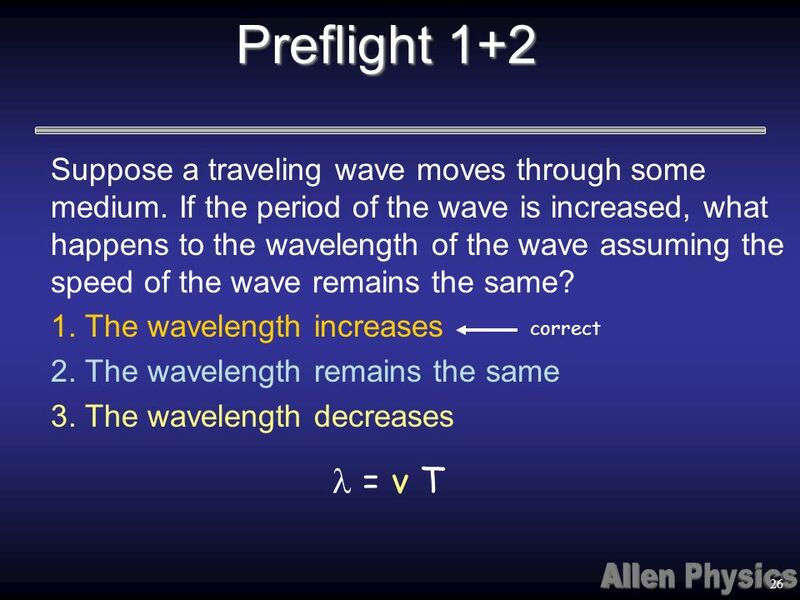 1 Chapter 11: Waves Energy Transport. 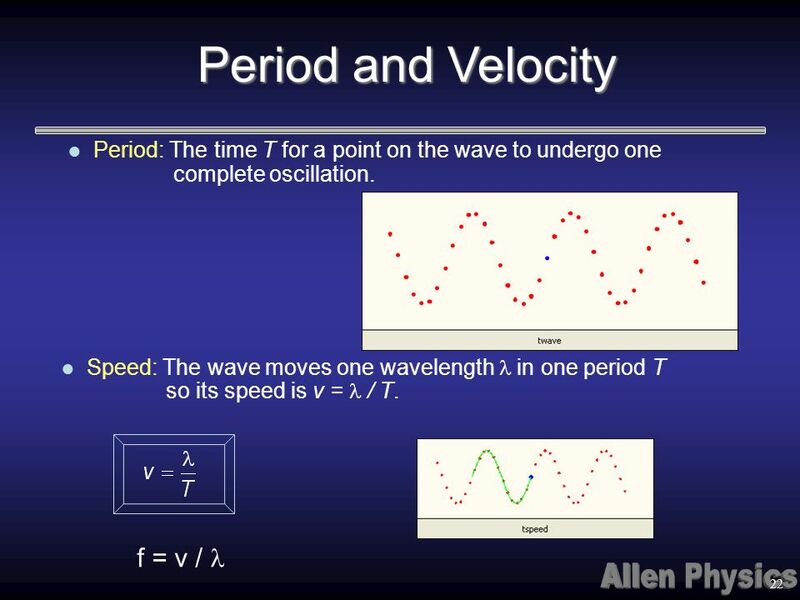 Chapter 13 Mechanical waves. 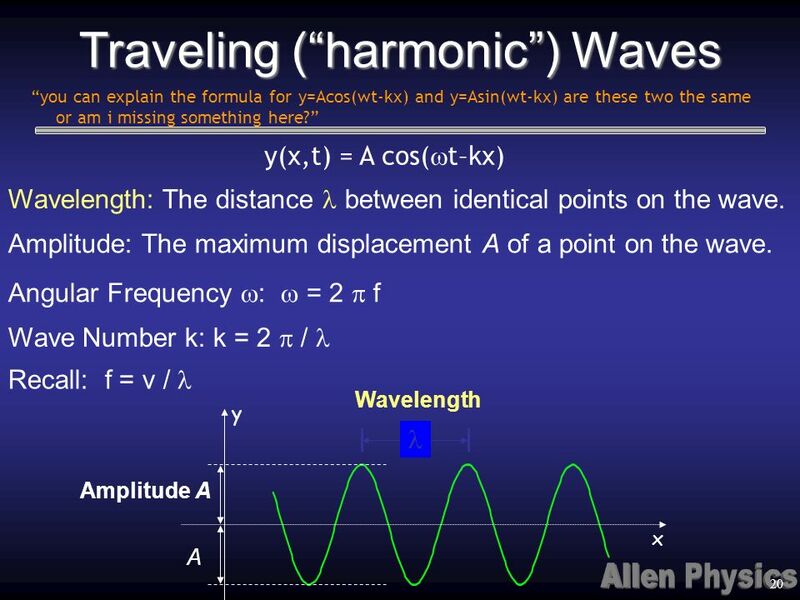 Traveling waves If we perturb again and again we create a series of pulses One can do the same with a spring or a rope When. 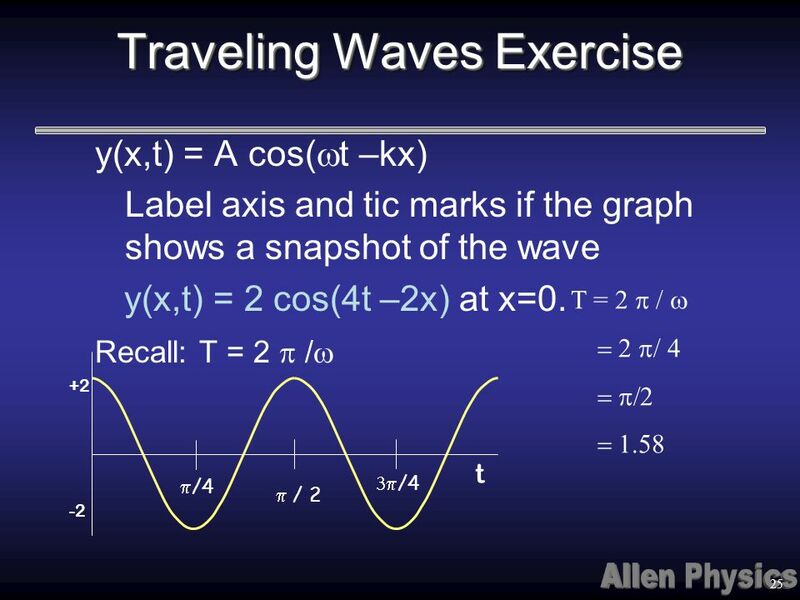 Waves Energy can be transported by transfer of matter. For example by a thrown object. 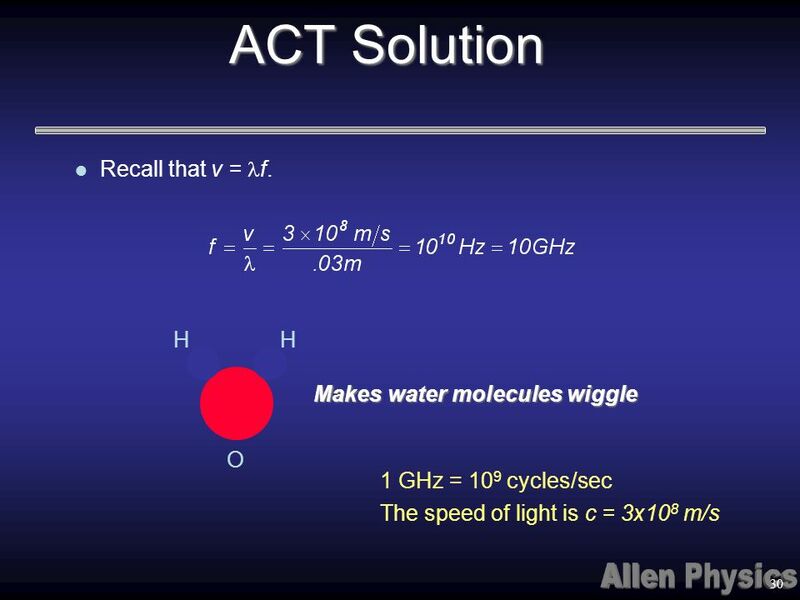 Energy can also be transported by wave motion without the transfer. 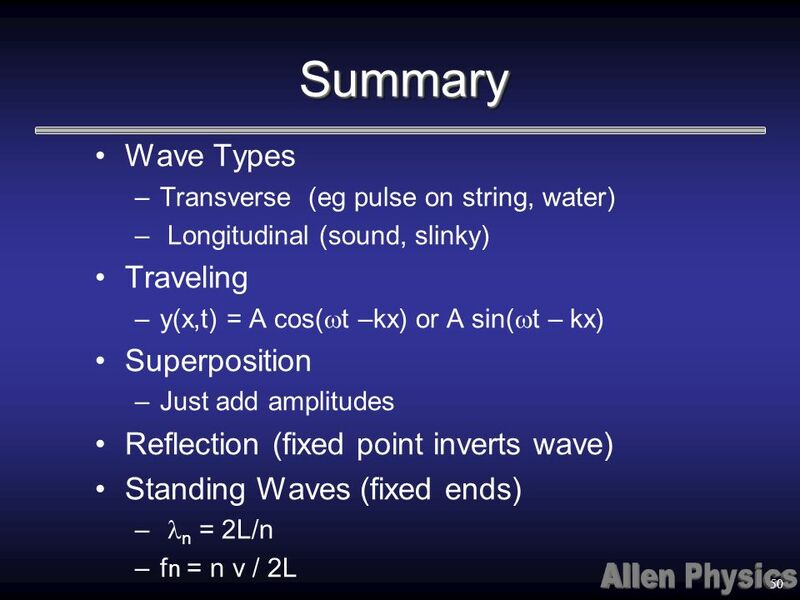 Lecture 2: Wave Phenomena II and Adding up waves. 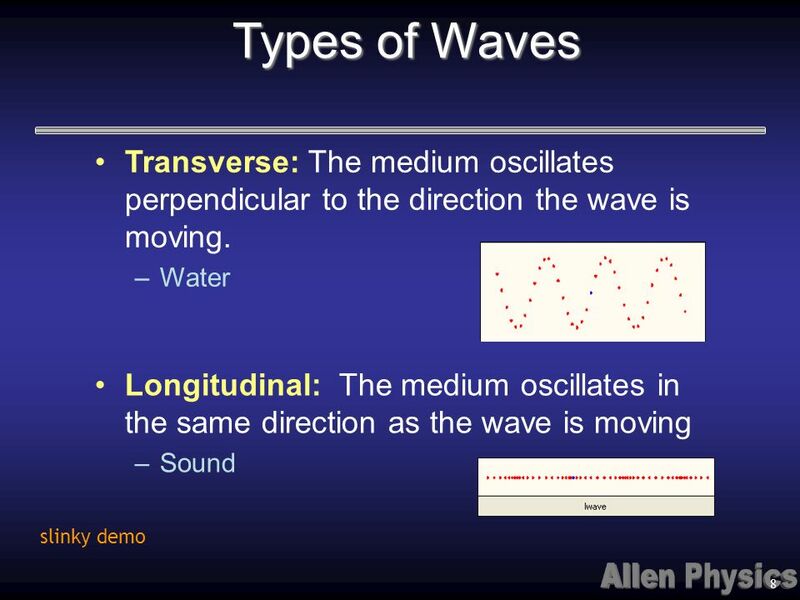 Physics 101: Lecture 32, Pg 1 Physics 101: Lecture 32 Waves and Sound l Today’s lecture will cover Textbook Sections l Review: Simple Harmonic. Waves Chapter 25. Waves Waves are everywhere. 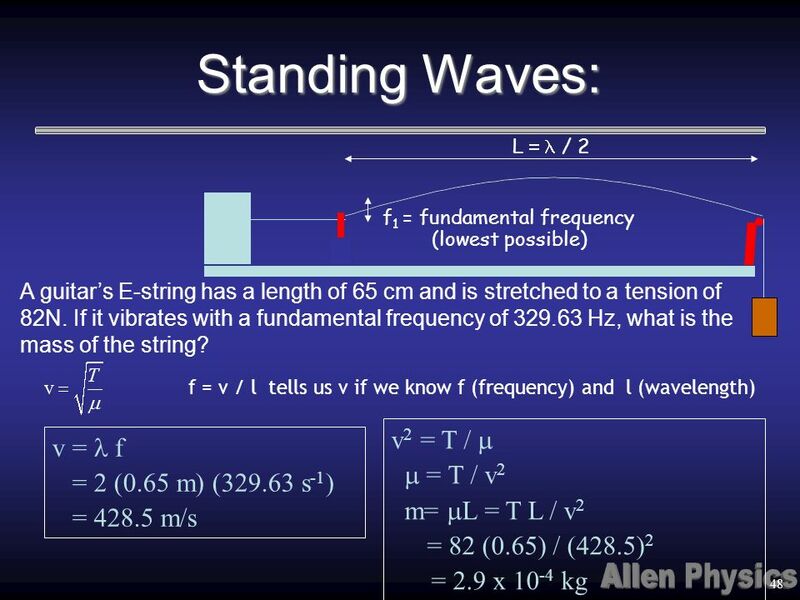 Sound waves, light waves, water waves, stadium waves, earthquake waves, waves on a string, and slinky waves. 8 th grade science! 1. 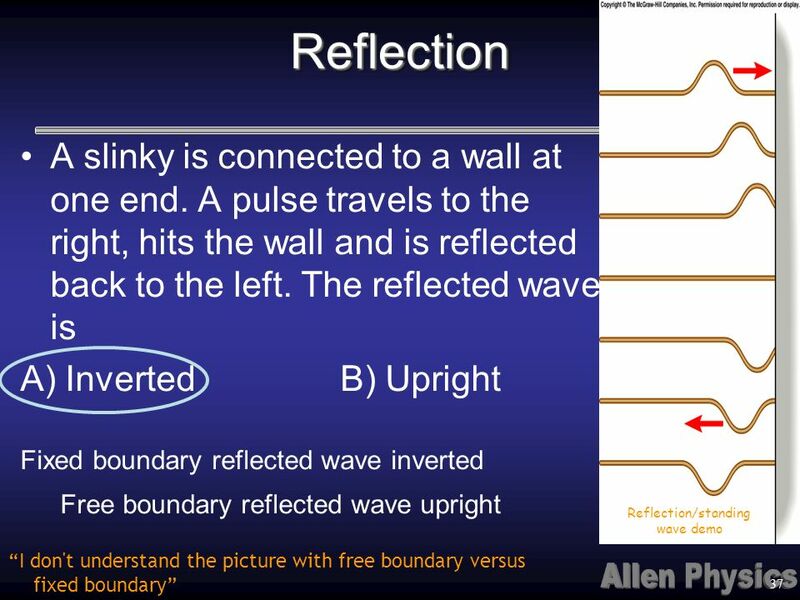 ◦Sound waves, ◦visible light waves, ◦radio waves, ◦microwaves, ◦water waves, ◦sine waves, ◦Coffee waves, ◦Muddy waves ◦telephone. Vibrations and Waves Chapter 12. 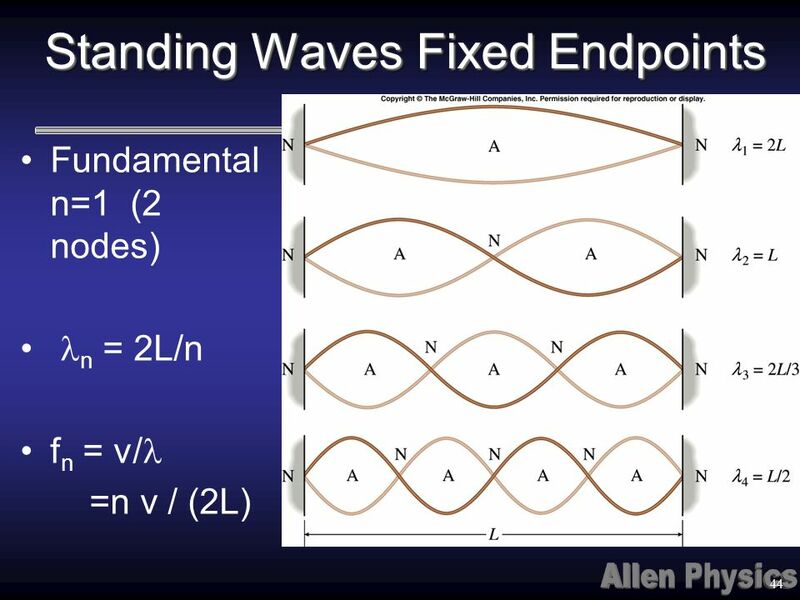 Chapter 11 Vibrations and Waves. n Simple Harmonic Motion A restoring force is one that moves a system back to an equilibrium position. Example: mass. 1 Waves and Vibrations. 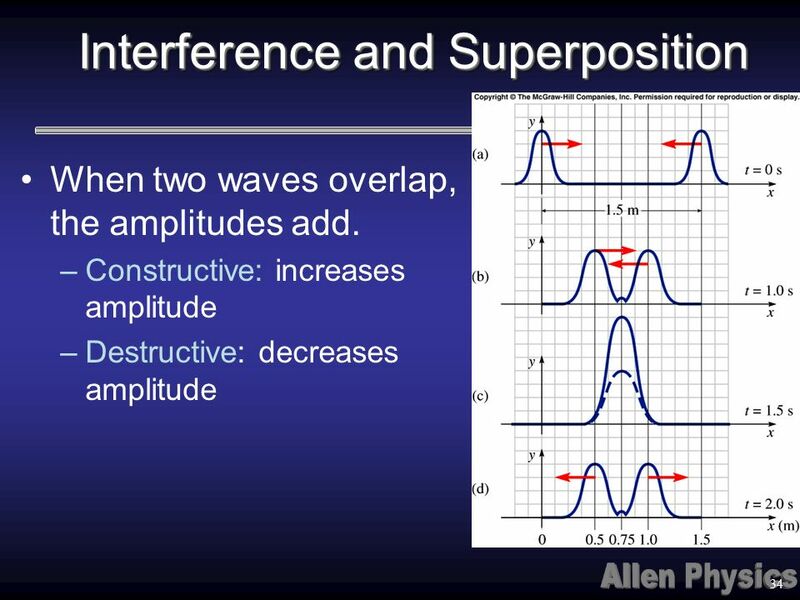 2 Waves are everywhere in nature Sound waves, visible light waves, radio waves, microwaves, water waves, sine waves, telephone.